Tamara Ecclestone, the Billionaire Formula1 Heiress, was spotted on Kings Road after watching the Chelsea Football club match toting the newest Celine Glacier..
Hilary Duff was spotted in LA carrying the latest color by Celine for the Summer 2013 collection, a lemony yellow Celine Tricolor Mini.. The Celine Icy Blue Glacier bags from the Summer 2013 collection were spotted in stores this month. Stores currently are stocking some decadent..
Kourtney Kardashian was spotted with her sister Khloe in Miami carrying the purse from the Spring 2013 collection, the new Celine Edge..
Presenting the various colors of the Celine Trapeze bags from cobalt blues to rich reds and dusty yellows. The trapeze is more.. 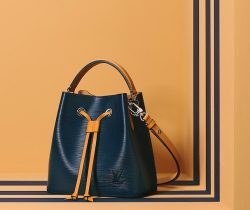 Available on Celine.com is the Spring 2013 bag collection, featuring a new set of colors and styles to anticipate to trickle in closer..